At Lam Family Medicine, a Primary Care Physician (PCP), General Practice Clinic, we understand that quality healthcare is essential to leading a happy, healthy life. We consistently strive for excellence in patient care by providing compassionate, evidence-based healthcare for you and your family. Whether it is preventive healthcare services or treating a specific condition, we believe in open communication, take pride in the relationships we build, and will help you with personalized healthcare decisions that fit your lifestyle and needs. Although we treat many acute problems, promoting healthy lifestyles and preventing disease is at the heart of our philosophy. Our mission is to help you and your ohana achieve optimal health year after year. Call our office at (808) 955-7897 to schedule your appointment today! along with numerous other vaccinations. Call our office at (808) 955-7897 to inquire. Our Lam Family Medicine clinic is open 8:30 a.m. to 5:00 p.m. Mondays to Fridays and 9:00 a.m. to 12:00 p.m. on Saturdays. We are closed from 12:00 p.m. to 2:00 p.m. Monday to Friday. Same day appointments are typically available. Please call our office at (808) 955-7897 to schedule. 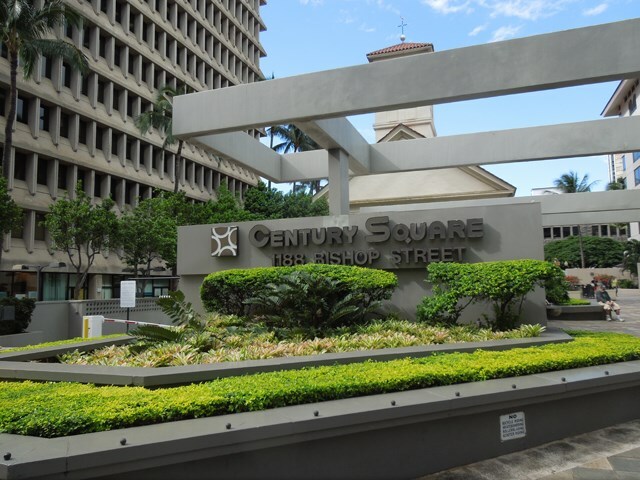 ​We are located in downtown Honolulu on the 32nd floor of the Century Square building. Our office is located on the South-West corner of the Beretania & Bishop Streets intersection, diagonally across from the Pacific Honda dealership and directly across from the Hawaiian Telecom building. Other nearby landmarks include the Finance Factors Building, Hawaii Pacific University (HPU) and the Our Lady of Peace Catholic Church. We provide our scheduled patients with complimentary parking validation for clinic visits in our Century Square basement parking structure. To enter the parking structure, turn right into the first driveway ramp immediately after the "Century Square 1188 BISHOP ST" sign on the right side of Bishop St). ​Please note that we can only validate walk-in patients with one hour of complimentary parking in our building structure. ​ Additional validations are available from our office for $2 per half hour. Same day appointments are typically available. Please call our office at (808) 955-7897 to schedule. Our Century Square building sign--our parking lot entrance is the first driveway immediately after this sign. 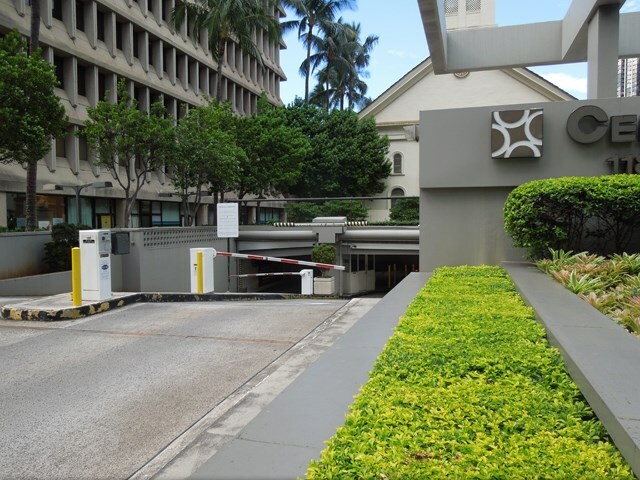 The entrance to our parking lot, located immediately after the Century Square building sign. Enter your Name, Phone Number, and any additional comments you may have in the form below. We will contact you directly to address your inquiries and/or schedule an appointment. If you have a medical emergency, please call 911. For other urgent medical needs and/or issues, do not leave a message here--please contact our office directly at (808) 955-7897. ***Important Notice Regarding Your Privacy: E-mail, texting, and web forms are insecure methods of communication and could lead to Private Health Information falling into unintended hands. This form of communication is not HIPAA secure. It is your right to communicate with us how you see fit, and it is our duty to inform you of the risk so that you can make an informed choice. We advise not to submit any personal health information in order to protect your privacy. Please feel free to call our office directly at (808) 955-7897 as this is the most secure form of communication.